N 35° 59' 42" and E 1° 37' 3"
Commune des Béni Bou Attab in Chlef Province is located in Algeria about 96 mi (or 155 km) south-west of Algiers, the country's capital town. Current time in Commune des Béni Bou Attab is now 08:30 PM (Sunday). The local timezone is named Africa / Algiers with an UTC offset of one hour. We know of 9 airports close to Commune des Béni Bou Attab, of which two are larger airports. The closest airport in Algeria is Ech Cheliff Airport in a distance of 22 mi (or 35 km), North-West. Besides the airports, there are other travel options available (check left side). There are two Unesco world heritage sites nearby. The closest heritage site in Algeria is Tipasa in a distance of 57 mi (or 92 km), North-East. While being here, you might want to pay a visit to some of the following locations: Chlef, Tissemsilt, Ain Defla, Tiaret and Tipasa. To further explore this place, just scroll down and browse the available info. Let's start with some photos from the area. El Maine is a town in northern Algeria. Located at 36.0508, 1.75833 (Lat. / Lng. ), about 9 miles away. 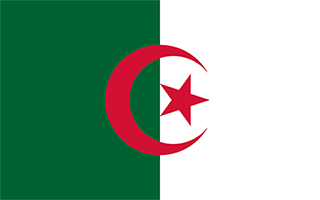 Tiberkanine is a town in northern Algeria. Located at 36.1667, 1.63333 (Lat. / Lng. ), about 12 miles away. El Karimia District is a district of Chlef Province, Algeria. Located at 36.1167, 1.55 (Lat. / Lng. ), about 9 miles away. Beni Bouateb is a town and commune in Chlef Province, Algeria. According to the 1998 census it has a population of 2551. Located at 36.05, 1.58333 (Lat. / Lng. ), about 4 miles away. El Karimia is a town and commune in Chlef Province, Algeria. According to the 1998 census it has a population of 25,060. Harchoun is a town and commune in Chlef Province, Algeria. According to the 1998 census it has a population of 14,869. Boucaid is a town and commune in Tissemsilt Province in northern Algeria. Located at 35.8903, 1.61972 (Lat. / Lng. ), about 7 miles away. Larbaa is a town and commune in Tissemsilt Province in northern Algeria. Located at 35.9131, 1.47528 (Lat. / Lng. ), about 10 miles away. Lazharia is a town, commune and daïra in Tissemsilt Province in northern Algeria. It is located about 74km west of Tissemsilt and at 45 km of Chlef. The daïra of Lazharia consists of three communes: Lazharia, Boucaid and Larbaa The city is located at about 1000m above sea level on the western flanc of the Ouarsenis mountains. The city is populated mainly by berbere tribes: Beni Hendel and Beni Boukhanous. Located at 35.9372, 1.56 (Lat. / Lng. ), about 5 miles away. Sidi Slimane is a town and commune in Tissemsilt Province in northern Algeria. Located at 35.86, 1.68111 (Lat. / Lng. ), about 10 miles away. These are some bigger and more relevant cities in the wider vivinity of Commune des Béni Bou Attab.